The summer festival was in full swing when we arrived in Deal. 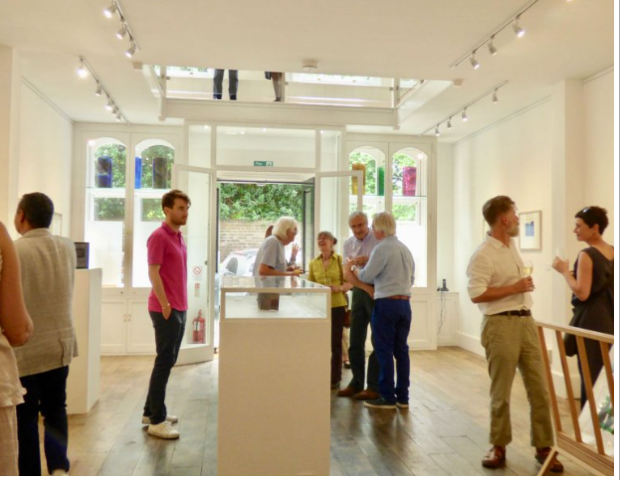 A jazz band played in the High Street, as we walked the short distance to Linden Hall Studio, a beautiful contemporary gallery, stunningly converted from an eighteenth century chapel. A sense of light and space strikes you immediately on stepping into the gallery. 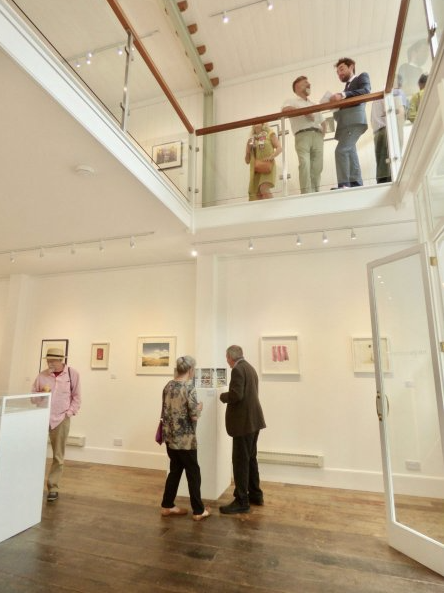 Bathed in a natural light with crisp white walls, wood floors and a feeling of calm space, it made the perfect gallery space for the Printmakers Council exhibition ‘Latest Edition’. 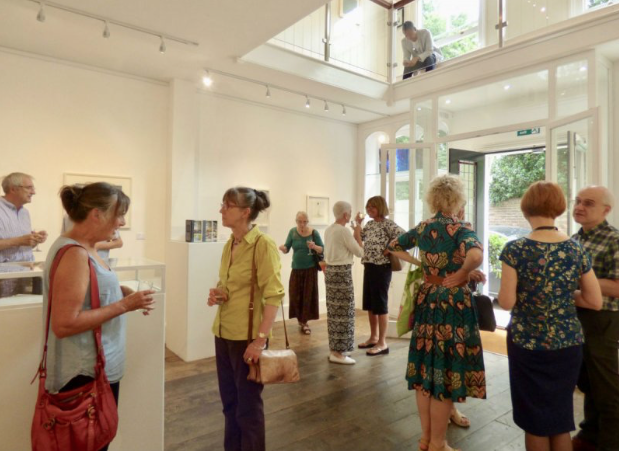 The two floors of gallery space created a stunning venue to show this interesting and diverse exhibition of members’ recent work. It is unusual to see an exhibition of prints hung with such a generous amount of space around each work. With an exciting range of techniques, including some well displayed three-dimensional pieces, this worked particularly well in allowing each print to be viewed without distraction. The Private View was a lively mix of Printmakers Council members and people invited by the gallery. The Linden Hall Studio has an exciting programme of exhibitions and talks, which clearly generates a loyal following and gives a feeling of accessibility which was reflected in the informality and engagement with which people dropped in for the private view. 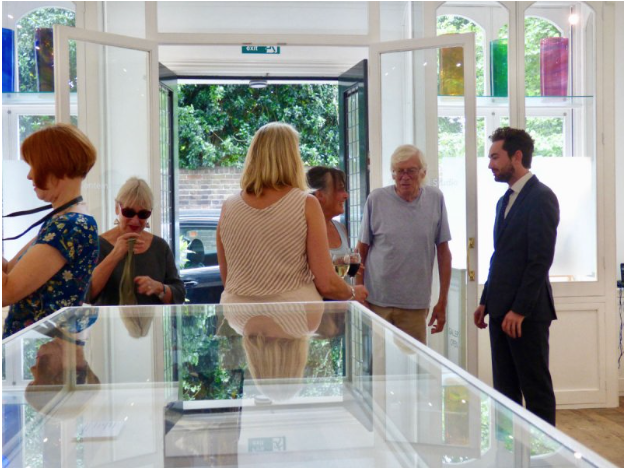 There was a serious interest in viewing the work, always a good sign at any private view. It was also good to see a number of sales made on the first day, which made an exciting start to a very successful exhibition. PmC was delighted to exhibit at Linden Hall Studio. The Linden Hall Team curated the work beautifully, bringing a sense cohesion to a show with an open theme. They worked hard to generate publicity through advertising in local magazines such as Kent Life and on social media and with posters round the town. The result was a great deal of interest and very good sales of both framed and unframed work.